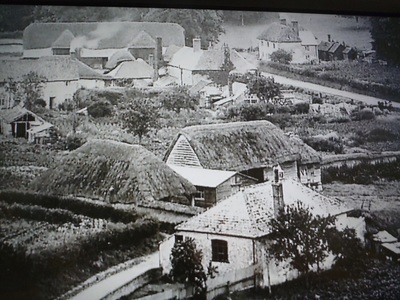 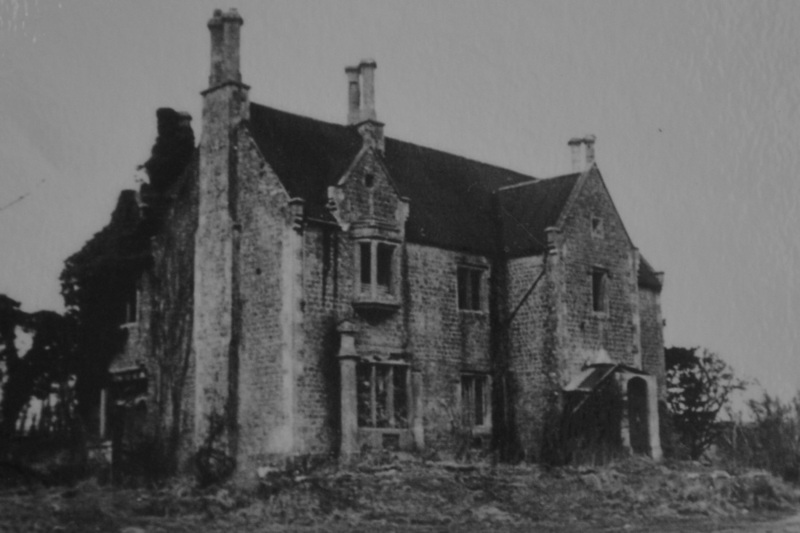 Built in 1840/41, with stables, the vicarage was demolished in 1969. 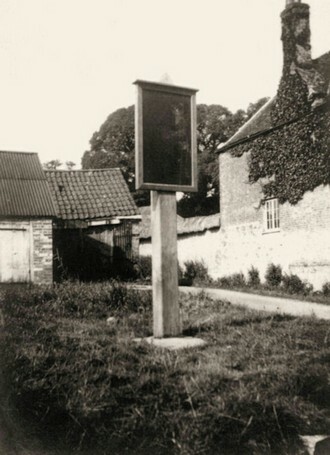 The memorial to fallen soldiers originally stood outside the smithy's, as seen here. It is now near the church. 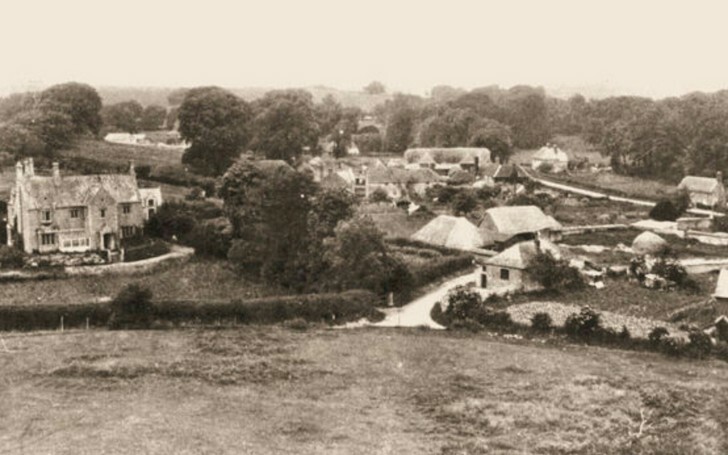 How the village looked from the Spire of St Giles Church, all of the houses have now gone, replaced with modern urban warfare buildings. 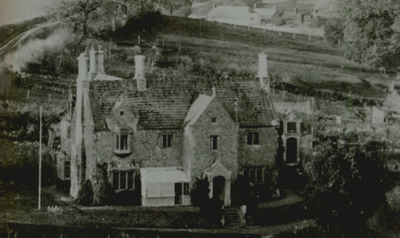 The Vicarage is on the left. 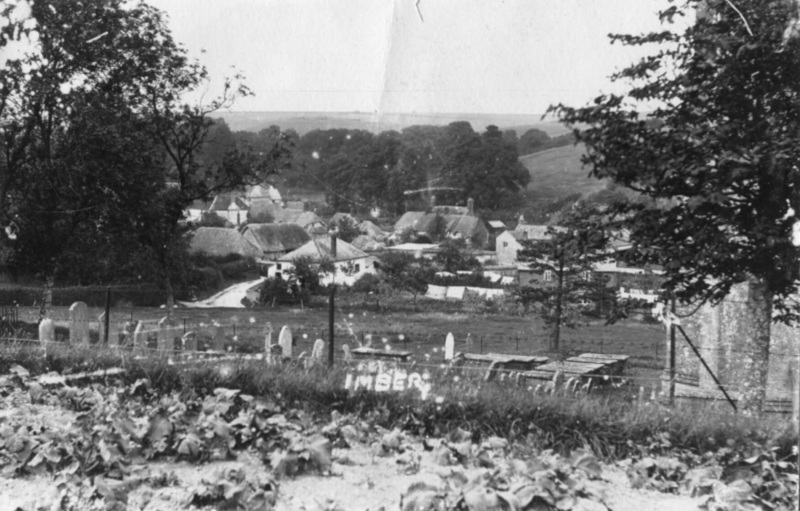 Vew from behind St Giles, circa 1919.